Dr. Mennen received his BA from New York University and his MD from the University of Cincinnati College of Medicine. He completed his pediatric residency at Albany (NY) Medical Center finishing as Chief Resident and then practiced as a board-certified pediatrician in upstate NY for five years. Recovering from four back surgeries (needed for an old rugby injury) and six months of hospitalizations, he decided to leave practice and enter the pharmaceutical industry. 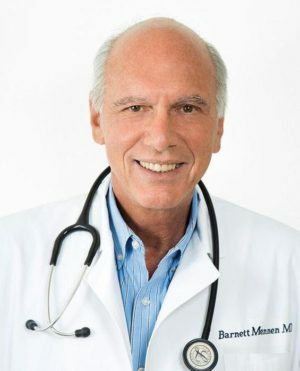 During Dr. Mennen’s 30-year career in the pharmaceutical industry, the largest portion of his time was spent in four main areas: diabetes, cardiovascular, weight loss, and nutrition. This experience helped prepare him for his practice as he is also a registered medical marijuana physician is the State of Maryland (learn more). In addition to his clinical and industry experience, Dr. Mennen has always been interested in human evolution. What further sparked this interest was learning about the “thrifty gene hypothesis,” which tied in aspects of our previous lifestyle as hunter-gatherers and the high incidence of obesity and diabetes in modern populations (99% of our time as humans on this Earth was spent as hunter-gatherers). He was so intrigued by this that he began researching the ‘natural’ diet for humans. He was thrilled to have been given special permission by a Yale anthropology professor whom he knew to attend a three-day Gordon Research Conference in 1984 in Oxnard, CA, entitled “Diet and Human Evolution.” This conference was critical in the launching of the Paleo (caveman) Diet movement. 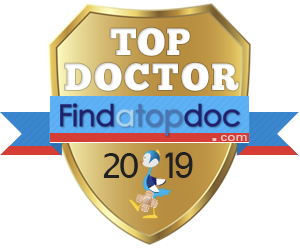 Combining this interest in medical aspects of nutrition along with his growing understanding of paleo-nutrition and his medical knowledge in diabetes, obesity, nutrition was the perfect foundation for treating patients who needed to lose weight. After researching Michael Anchors, MD, PhD‘s patented approach, Dr. Mennen met with him and was asked to join his practice. He practiced with Dr. Anchors for one year. We are fatter now — as a country — than we have ever been; and yet, we have more ‘diet’ foods, ‘diet’ drinks, and low fat foods than at any other time. Further, gyms and fitness club memberships along with home treadmill and elliptical sales are at an all-time high. How can this be? Although what we are about to say may surprise you, it is well-documented: 4 or 5 hours per week of exercise, while good for your head and heart, are not helpful for weight loss. It’s all about what you are eating! Today’s food environment is one of constant and relentless abundance. It was not always so: our hunter-gatherer ancestors lived in a setting of feast-or-famine. Therefore our genes, brains and metabolism are designed for the stuff-or-starve reality of our past nutritional econiche. Since your body was prepared for a life of feast-or-famine, your systems have been honed for high efficiency in calorie storage and a high motivation to eat when food is there; this works against us when faced with the constant availability of rich, processed food. The result is that we eat too much, too often. Further, we eat a much higher proportion of carbohydrates (starches and sugars) than our ancestors did. We believe these are the key disconnects from our early human and pre-human environments that are, in large part, responsible for our obesity. In our practice, we do not use ‘diet’ sheets or have you weigh your food; further, we don’t have you count calories, nor do we sell you pre-packaged meals or supplements. We only rely on real food to achieve real sustainable results! Once at goal, you continue with this new approach to food from Monday through Friday, but Friday night through Sunday afternoon you can have that dessert, baked potato or plate of pasta. Many of our patients have seen excellent long-term results. “I was skeptical at first, because I have done it all before; but losing 60 pounds in 3 & 1/2 months made me a believer. It was easier than I imagined! I was a size 50 & now a 40. I still have about 40 more to go but am optimistic in the outcome. My wife & sister-in-law have also lost some weight but I’ll let them tell you their story.